A self-propelled folding wheelchair has two large back wheels for propulsion and is predominantly designed to allow the wheelchair user to manually and independently mobilise whilst remaining seated. This is unlike an attendant propelled wheelchair which has smaller back wheels and is designed to be pushed by a carer/proxy. In determining whether your self-propelled folding wheelchair is right for you it is important to consider three distinct areas of review; the person, the environment and the occupation/activities being performed. Start with the basics, it has to be the right size. If not the right fit then this will impact on posture, skin integrity, comfort and ability to perform meaningful tasks independently. The width of the seat should be roughly the width of your bottom in sitting plus an inch. The depth should be the measurement from the back of your bottom in sitting to the crease behind your knee (known as the popliteal crease due to its position at the popliteal fossa) minus an inch. Footrests should be set at a height that support 90 degree angles, or as close as is possible bearing in mind co-morbidities. For a self-propelled folding wheelchair you need to consider the positioning of the larger rear wheels and the ability of the user to comfortably grip and propel repeatedly over a period of time. Consider the combined weight of the user and the wheelchair to determine whether sustained use will support health and well-being in the long-term. Make sure that all strength and areas of deficit are considered as a package to ensure that the wheelchair itself is the right ‘fit’ for the user. When an individual loses some ability to remain in control of some part of their life, whether it be due to physical or social barriers then the environment itself can is considered to be disabling. For example, the self-propelled folding wheelchair could be the perfect fit for the user as described above but without the ability for it to perform in the way it was designed and assessed for it is rendered useless. 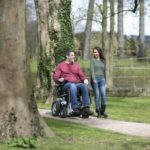 A wheelchair, in particular a self-propelled wheelchair which is wider and therefore has a larger turning circle, should always be assessed for within the context of the environment it is to be used in. Simple considerations such as flooring, internal doorway widths and heights of utilities/work surfaces are all critical in ensuring that the perfectly measured chair supports the user in their environment. Finally it is critical to review what activities are being performed within the environment. Does the self-propelled folding wheelchair support the user’s engagement? Supported posture, freedom of movement, accessibility all have impacts on specific tasks such as components of personal care, productivity and leisure in different ways. Considering each component individually is not enough to determine whether the wheelchair is meeting your needs. They need to be seen as separate elements of the same puzzle. 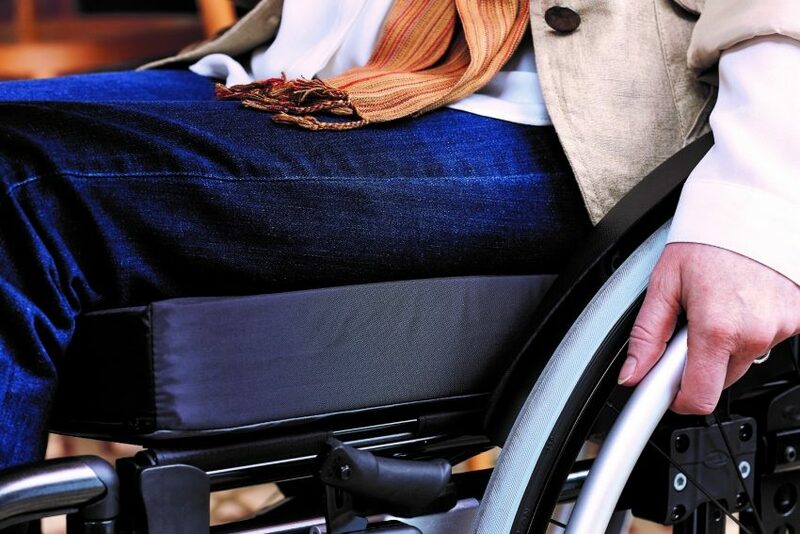 Ensuring that they are viewed holistically and intrinsically linked will help the wheelchair user to determine whether their self-propelled wheelchair is truly meeting their needs.